JHC welcomed three new interns last month. 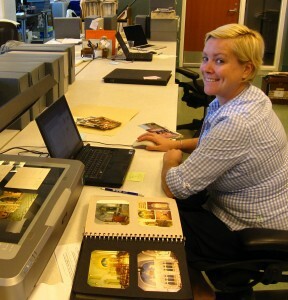 Heidi, Joshua, and Jocelyn will be digitizing and rehousing postcards, prints, photographs, and other images from the Rosenthall portfolios, which will then be made available through the Lowcountry Digital Library. They are currently digitizing postcards of synagogues and tombs. Stay posted for updates on their progress. We are pleased to announce that the second Rabbi William A. Rosenthall portfolio has been uploaded to the Lowcountry Digital Library. 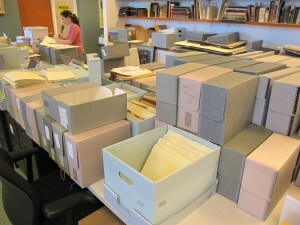 This is the first portfolio digitized under the CLIR grant. Most of the images are photographs and prints of European synagogues. Also included are several depictions of rabbis, Jewish cemeteries, and Jewish ghettos. While all the images are fascinating representations of Jewish culture, individuals, and architecture, we’ve selected a few here to demonstrate the breadth of the collection. Stay posted for more updates on our progress. A new year, a new volunteer, and a new website! Special Collections is ringing in 2011 with the creation of a website to document the progress and discoveries made while processing the William A. Rosenthall Judaica collection and William A. Rosenthall papers. Many thanks to Irene and Gordon Rosenthall and Dean of Libraries David Cohen for encouraging us to publicize our progress with the collections. We also thank Chris Vinson for his technical assistance in launching the website. In November 2009, the Council on Library and Information Resources (CLIR) awarded the Jewish Heritage Collection a generous grant to process and catalog its “Hidden Collections”—foremost among them the William A. Rosenthall Judaica collection and William A. Rosenthall papers. The project team, consisting of Special Collections staff, archivists, archival assistants, consulting scholars, and student volunteers and interns, has begun processing and digitizing Rabbi Rosenthall’s vast collection. Portions of Rosenthall’s collection of Judaica images are currently being added to the Lowcountry Digital Library. 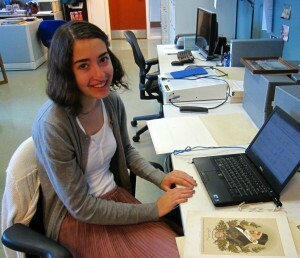 We would also like to welcome our newest volunteer, Joanna Knight, a senior history student from Columbia University. 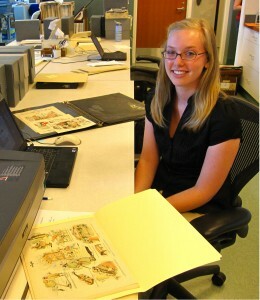 Joanna is working on the massive Rosenthall portfolios rehousing and digitization project. 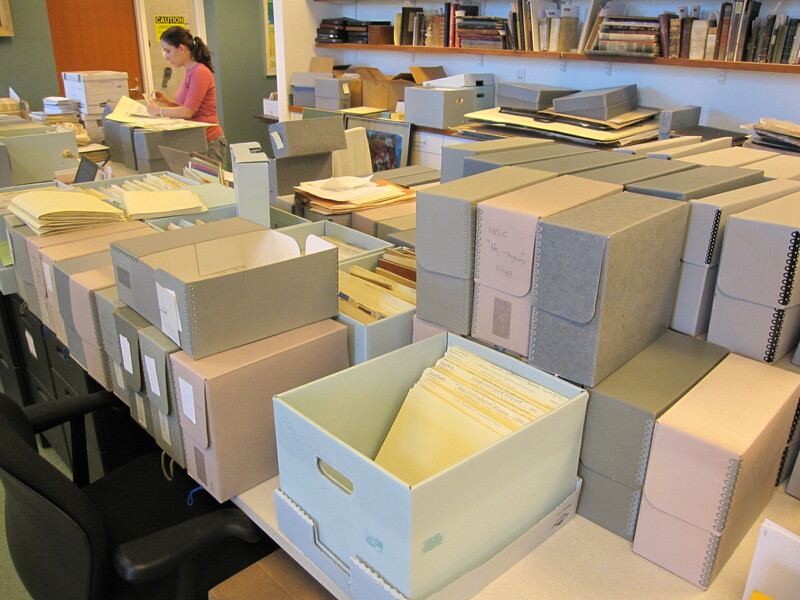 This involves removing the contents of the portfolio (typically prints, etchings, lithographs, photographs, or postcards), scanning and digitally processing each item, creating item-level metadata, and placing items in new archival-safe portfolios. After an entire portfolio is scanned and processed, it will be uploaded to the Lowcountry Digital Library and made available to the public. Please stay tuned for more information and updates.